Книга по лоскутному шитью. Шесть потрясающих проектов для шитья одеял. Книга предназначена как продвинутым так и начинающим рукодельницам. 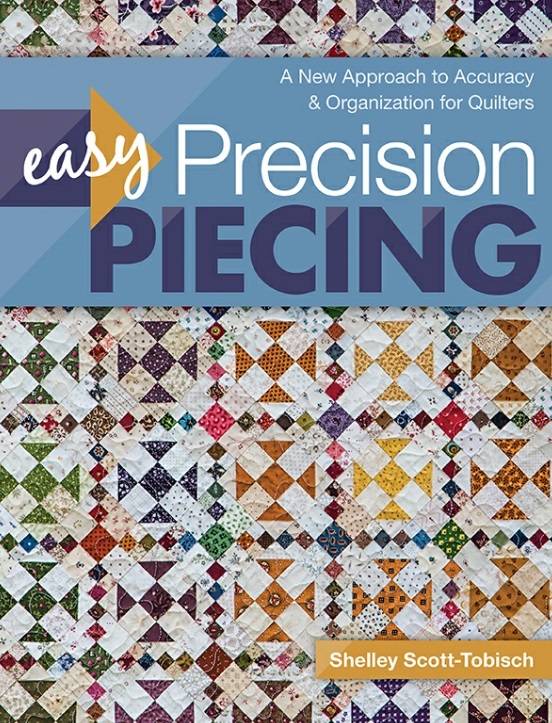 Say goodbye to your seam ripper, backwards blocks, and mismatched seams with Easy Precision Piecing?the pathway to flawless patchwork. Use the best tools to prep and press fabric for seams that always lay flat. Get organized so you can easily set aside projects without losing your place. Practice your cutting, sewing, and pressing with foolproof Quilt Block Builder blueprints. Six stunning projects for beginners and advanced quilters will help you use your newfound skills.